The 7 Inches of Pleasure DJ tour, featuring Monster Energy artist roster headliners, will be doing a Western Canada swing early 2017. No CD’s, no MP3’s, no Laptops, Just 45’s & good vibes. The night features some of North America’s most prolific record collectors and turntabilists including DJ Scratch from EPMD (Brooklyn, NY), MAT THE ALIEN (Nanaimo) & DJ ILLO (Ottawa). FREE SHUTTLES ALL NIGHT FROM ROCKWATER TO KHMR! 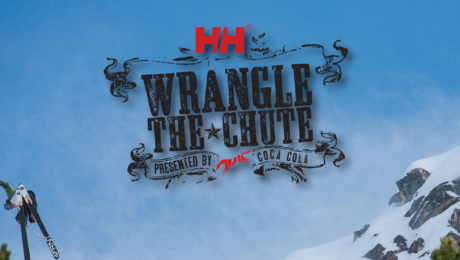 HELLY HANSEN Wrangle the Chute is coming up March 8-11, and we hand picked a few Golden & KHMR locals eager to compete and represent their home turf! 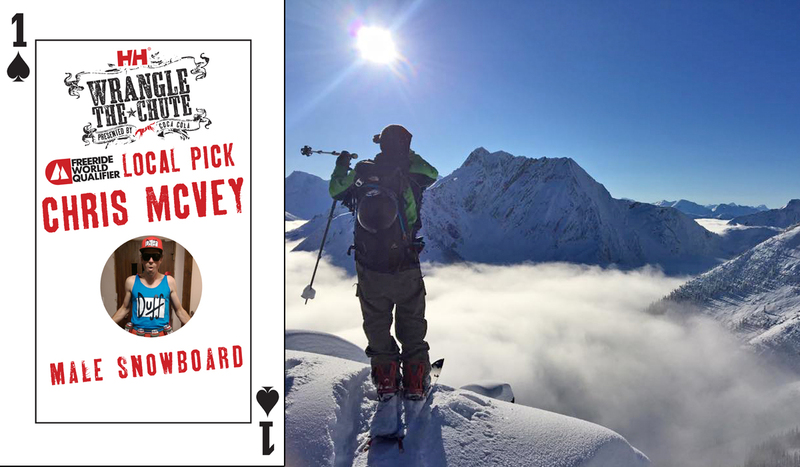 Be sure to watch them throw down this week: March 8th for the 2* FWQ, March 10th for the 4*FWQ Qualifiers and March 11th for the 4*FWQ Finals. Local Yoga Instructor and avid Snowboarder & Mountain biker, this girl is getting after it on a daily basis! Keepin’ up with the Oatway Productions boys is not easy, but it sure trained Jessica to wrangle herself in & out of the steepest and sketchiest lines without a hitch! 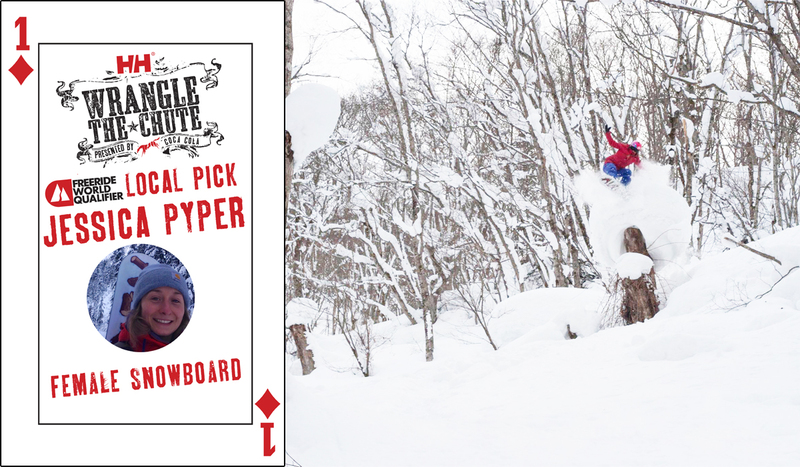 This local shredder only has interest for big mountain lines! Chris will always ride where you thought it was impossible to ride, while capturing some major air time. Don’t miss this guy’s run! 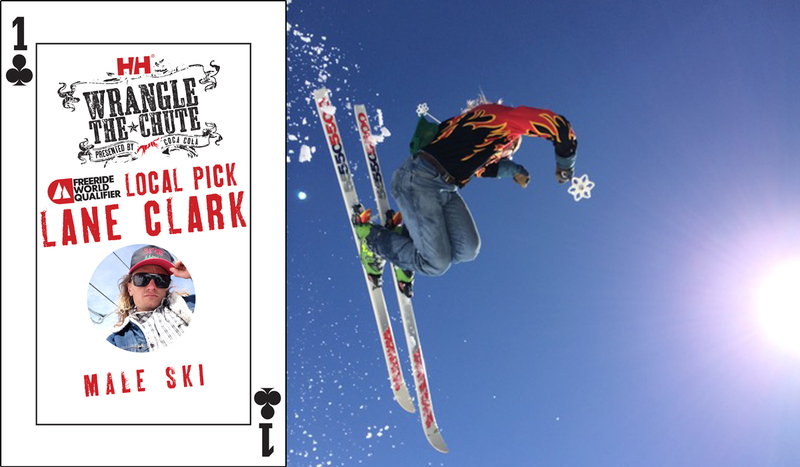 Lane Clark aka Flame McNeil. 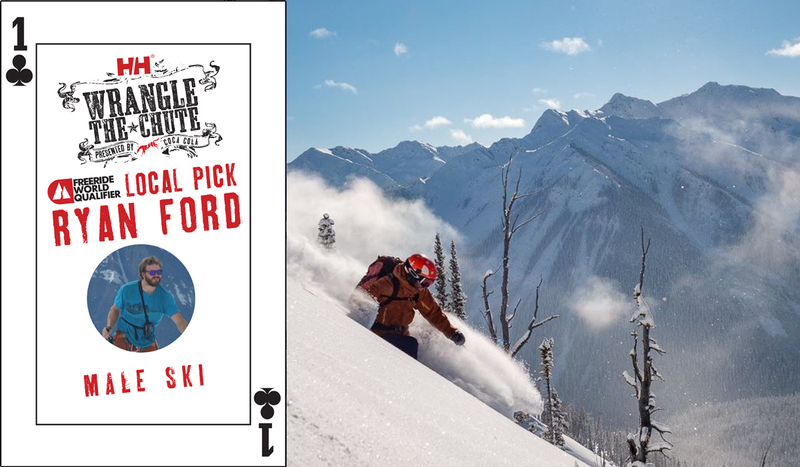 Ex rodeo clown now Coach for the Rocky Mountain Freeriders. His motto: “If the women don’t find you handsome they should at least find you handy”. 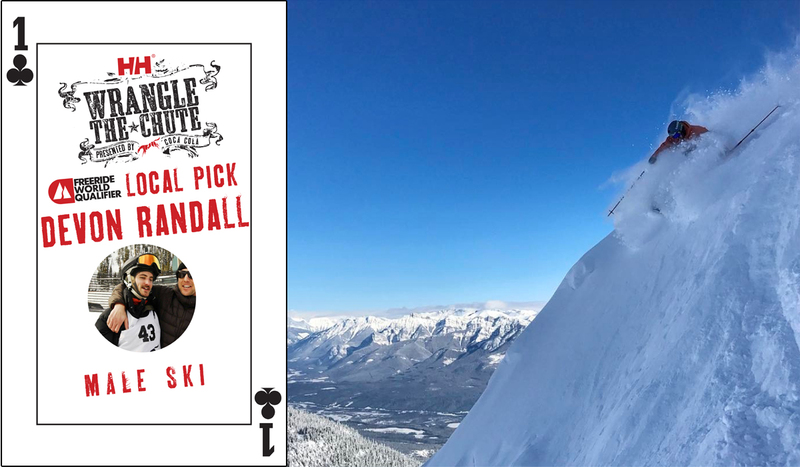 Head coach of the GKHAT (local ski racing team) & level 3 coach certified, Ryan’s style is simple: technical, non-stop and loose, he’s definitely happiest with one foot up in the air, doing big turns, and traveling at a high speed. Be on the watch for his run, because it’s going to be a fast one! Devon Randall aka Bad Randy, grew up thirty minutes south of town in Parson home of the world’s largest paddle. Words to live by “take your loose airs with your loose women” fast one! 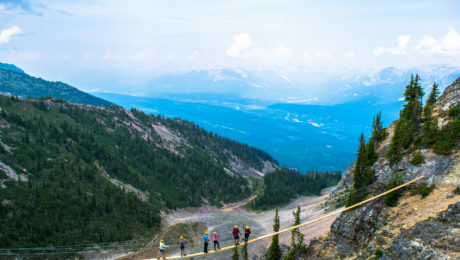 You’ve likely heard of the Via Ferrata, a fixed climbing route running along the Terminator peak of the resort, what you might not know is the path to the Via Ferrata is across a suspension bridge. The ‘Hanging Glory’ suspension bridge transports brave guests from the ridgeline just below Eagle’s Eye over to the base of Terminator peak. NEW this summer, walk to suspension bridge and circle back to the restaurant before starting the Via Ferrata, with the new suspension bridge option guests who are too nervous to do the whole course or too young to meet our safety restrictions can get a taste of the rush on Hanging Glory. (For the especially adventurous, trying actually hanging off hanging glory, don’t worry, you’re harnessed safely to the bridge). 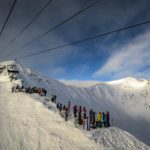 Kicking Horse Mountain Resort is thrilled to introduce a new 2 stars Freeride World Qualifier (FWQ). 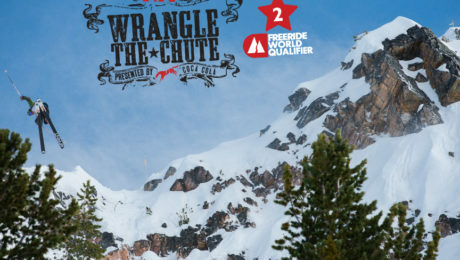 To foster and support the local adult freeriding scene, this additional big mountain event will be held in the original Wrangle the Chute Venue, where it all started! Although anyone is welcome to enter, the event is dedicated to reveal the best local talents. 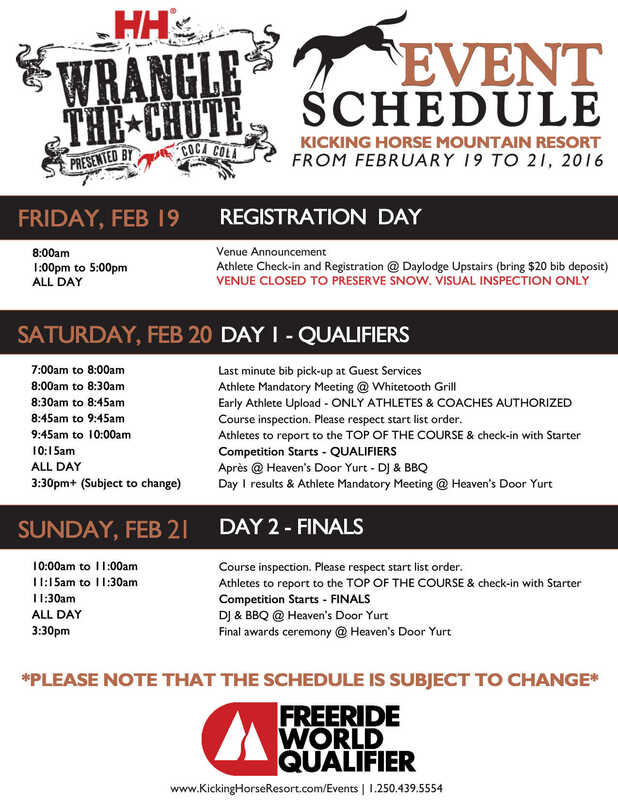 The winner of each category will be invited to enter the 4* Wrangle the Chute, scheduled for March 24-27. 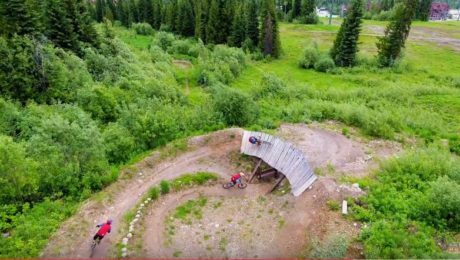 Don’t miss the action at the Heaven’s Door Yurt! 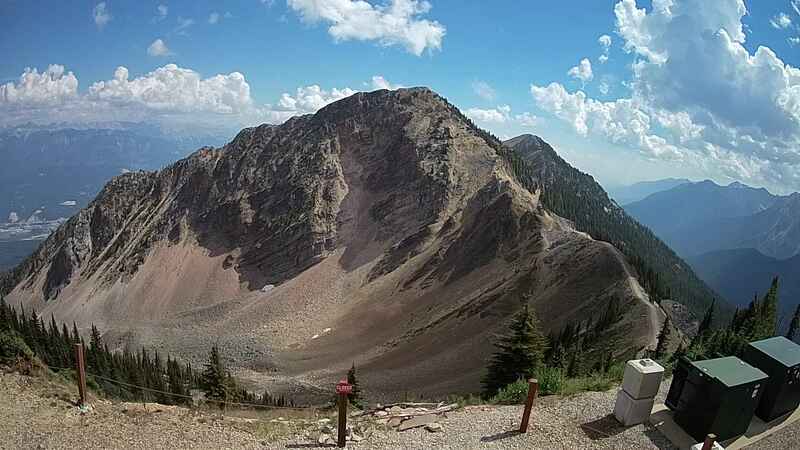 On both Saturday and Sunday, the athletes will compete in the chutes facing directly the Heaven’s Door Yurt. Tasty BBQ treats and cold drinks will be all day. 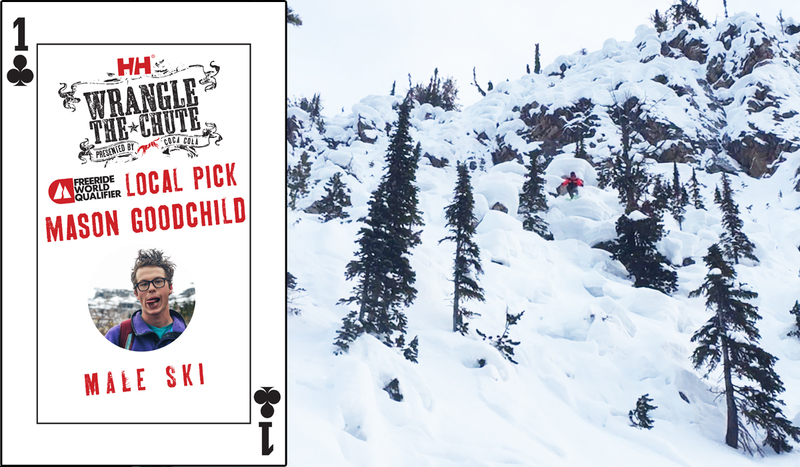 Don’t miss out on the ultimate Big Mountain showdown featuring big lines and some of the best pro-riders with a Kicking Horse twist! Participate in IFSA’s “Rip It! Shoot It! Share It” campaign. You have a chance to win an IFSA trucker hat each week if you post your photos on the IFSA Facebook page, or on your own Instagram/Twitter using these official hashtags: #IFSA16, #IFSAfreeriders, #FWQ16. 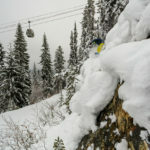 – Presented by Rossignol and Smith Optics. 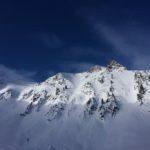 This event provides the opportunity for youth between the ages of 7 and 18 to develop and showcase their skiing skills in a fun and supportive environment. 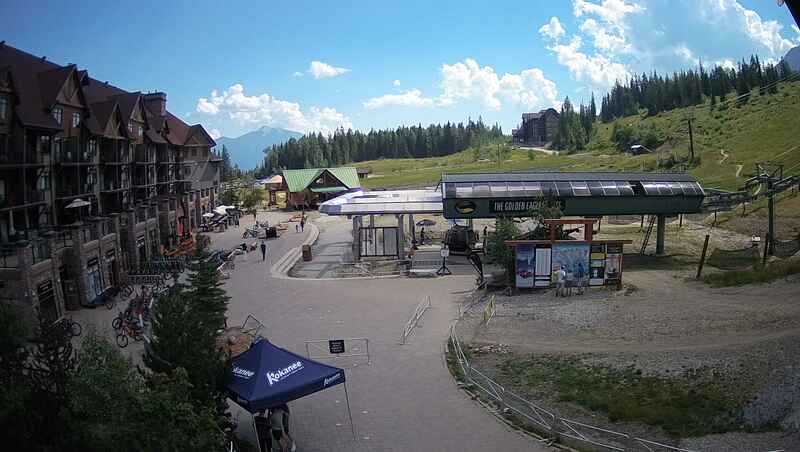 The Jeep Junior Freeski Series is the only one of its kind in Canada and part of Resort of the Canadian Rockies (RCR) ongoing commitment to providing active and healthy pursuits for youth. 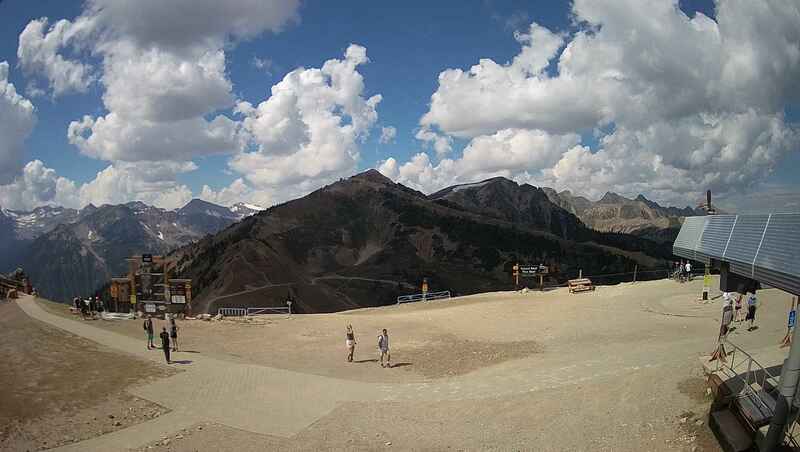 Check out the next generation of freeskiers! 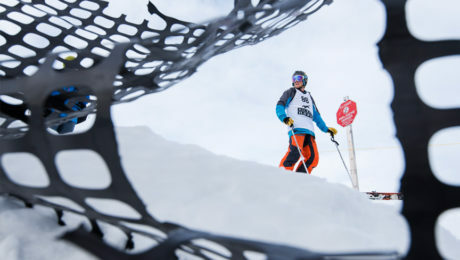 Competitors will display their skiing skills on natural terrain while being judged on 5 categories – Line Choice, Control, Fluidity, Technique and Style/Energy. Stay tuned on here for contest results! 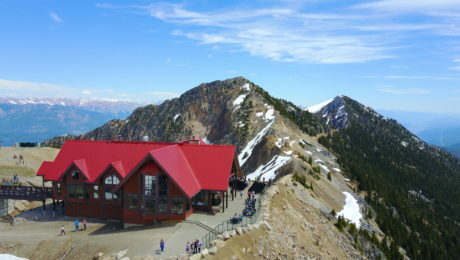 Golden, B.C. – We are excited to announce this special day that gives everyone in our community a chance to ski and ride with us! 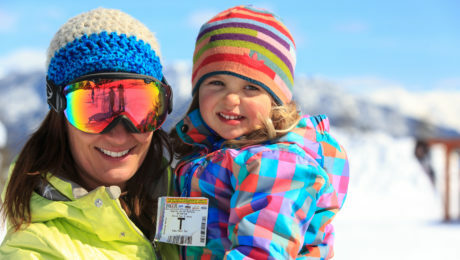 On Sunday, January 10th, Kicking Horse Mountain Resort is excited to continue the annual tradition of offering a FREE day of skiing/riding to the local community through our Community Appreciation Day. 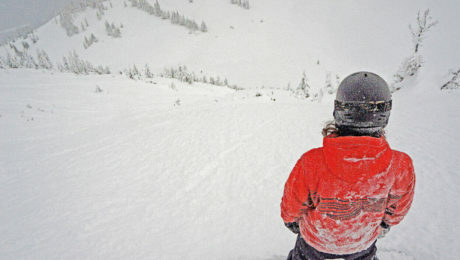 FREE Lift tickets will be offered to all Golden and ‘Area A’ residents. 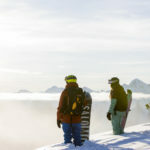 We want all locals to take part and join us for this opportunity to discover skiing or snowboarding for the first time or return if it has been awhile. 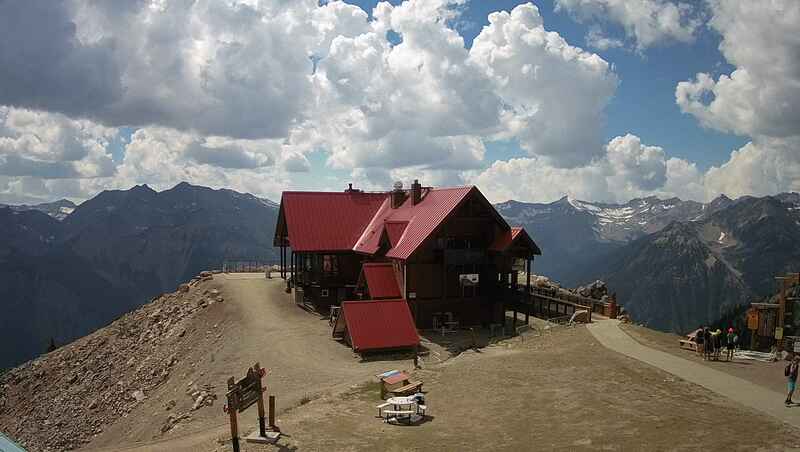 If you are not into skiing please come up and take in the view from the top of the Golden Eagle Express Gondola and have lunch at Eagles Eye. Please bring a valid Gov’t issued id to verify your residents. 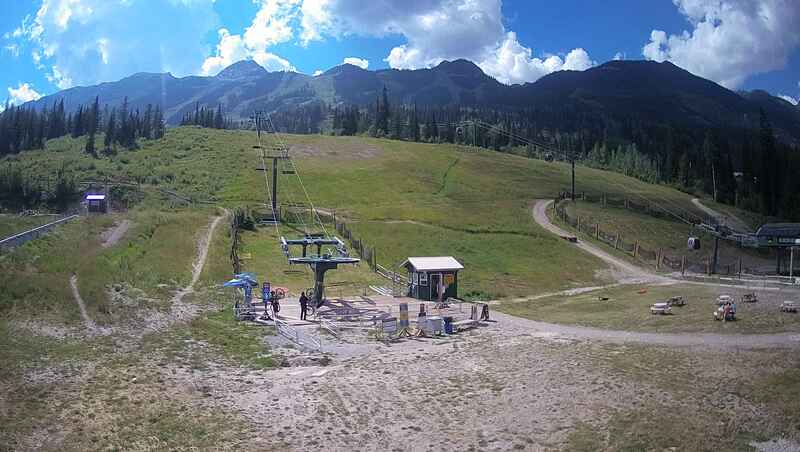 If you’re new to the sport, now is the time to try it out, Kicking Horse Mountain Resort TELUS Winter Sports School will be offering beginner TELUS Ski/Snowboard Lessons, sign up ahead of time to book your spot. As far as we remember, we’ve never seen T1, T2 & Whitewall all open at this time of the year, especially with knee deep powder. Let’s admit it: This is the best opening KHMR has ever known. Cheers to an amazing season start… and to the good times ahead! Photo captured on Saturday, December 13 at 3:00pm on Terminator 1. Preview weekend was a blast! You guys helped raise $1401 for the Golden Food Bank, they can turn a $1 donation into 3 meals…that is 4203 meals! High Five to that.. & to one of the best openings we’ve ever had! See you next Saturday for the second Preview Weekend.